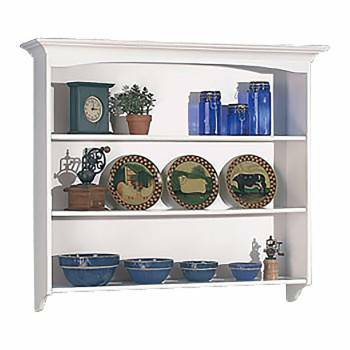 Shaker Wall Hutch. 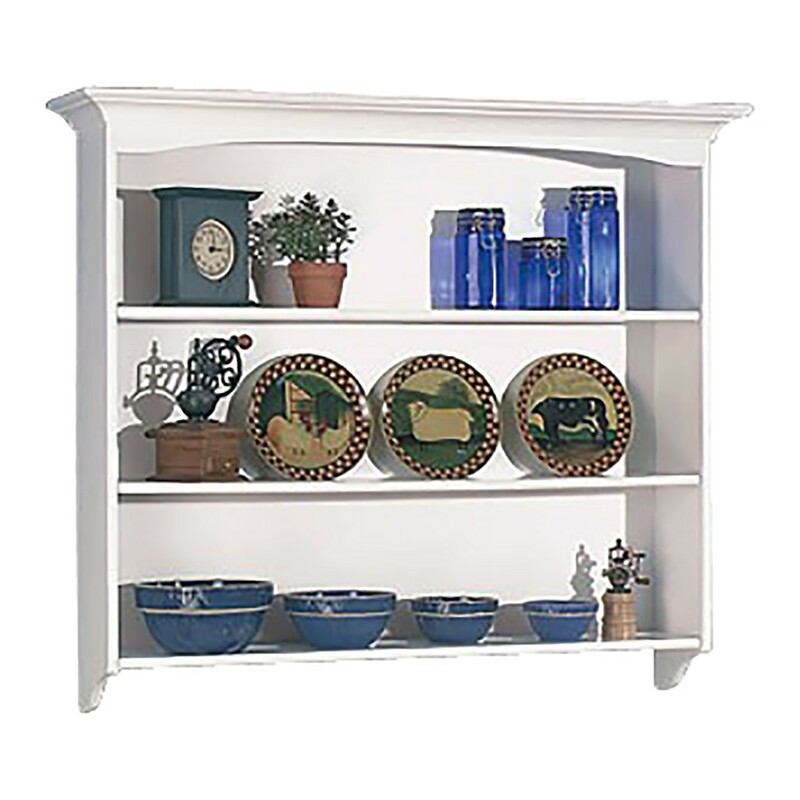 Get the look and display area of a hutch, without taking up an inch of floor space! Crafted of tulipwood ardwood and finished in a beautiful white. It has 3 fixed shelves with plate grooves, 12 in. high x 48 in. wide x 8 in. deep. Overall it measures 48 1/2 in. high x 53 1/4 in. wide x 11 in. deep.